The past decade has seen a surge of interest in applied topology, a vaguely defined area that became a focus of attraction for several communities neighboring mathematics proper - biology, engineering, computer science, data analysis, to name a few. The central lure of this emerging area is the feeling that the flexibility afforded by the passage from geometric constructions to analysis situs, analysis of (mutual) positions, can be a powerful force in applications. The meta-goal of this project is to contribute to the development of the original view of topology as analysis situs: the extraction of discrete, combinatorial invariants from continuous shapes. 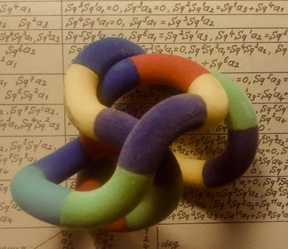 Here is a sample of the topics to be covered: moduli spaces of linkages, hinges and origami; configuration spaces of hard disks and coverings; topological robotics; topology of random simplicial complexes and random varieties; topology in condensed matter; high-dimensional expanders; equipartitions and Tverberg type theorems. 8:30 - 5:00 In observance of Indigenous Peoples Day, ICERM is closed.